Cavusoglu’s comments raise the specter of yet another clash between the U.S. and Turkey, which is also in the final stages of an arms deal with Russia that could trigger American sanctions. Turkish officials, in both cases, have dismissed the U.S.’ threat of sanctions to constrain the choices of other countries. “While we are explaining why we will not obey these sanctions, we have also expressed that we do not find these U.S. sanctions appropriate,” Cavusoglu said Tuesday. The Trump administration hopes to isolate Iran and deprive the regime of access to international sources of revenue that might be used to finance a nuclear weapons program or regional aggression by the Iranian Revolutionary Guards Corps and the regime’s terrorist proxies. Turkey has pledged to consummate an agreement to purchase Russian S-400 anti-aircraft defenses, despite strong pushback from NATO allies and U.S. sanctions on the Russian defense industry. But as Cavosoglu takes a hard line on the oil sanctions, Tupras, Turkey’s biggest oil importer, is cutting back on deals with Iran without eliminating the sales entirely. Still, Cavusoglu’s rhetoric is emblematic of the disagreements that have hampered U.S.-Turkey cooperation in the region of late. ANKARA (Reuters) – The leaders of Turkey, Russia and Iran agreed on Wednesday to meet in Istanbul to discuss the conflict in Syria, a Turkish presidential source said. 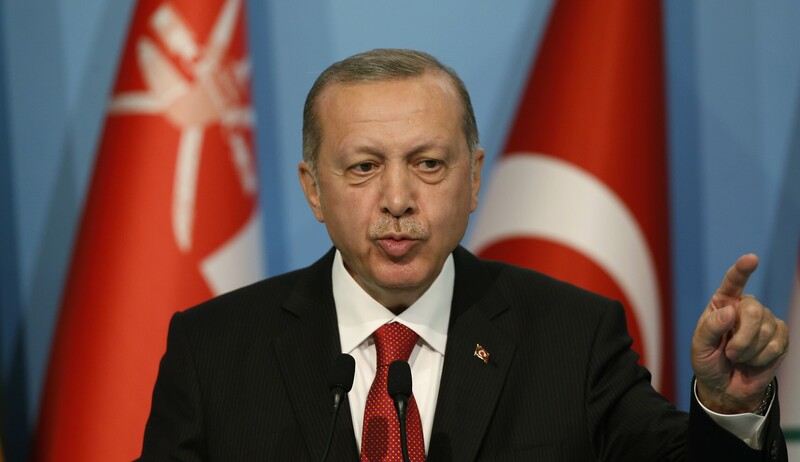 Turkish President Tayyip Erdogan discussed the meeting in two phone calls on Wednesday with the Russian and Iranian presidents, the source said. The date of the summit would be set in coming weeks. The three countries have worked together in recent months to try to reduce violence in Syria, even though they have backed rival sides in the nearly seven-year civil war and remain deeply involved in the conflict. Iran-backed militias and Russian air power have supported a Syrian army offensive in Syria’s northwestern province of Idlib since November, and Turkish forces last month launched an offensive in northern Syria’s Kurdish region of Afrin. On Monday, Iran urged Turkey to halt the Afrin operation, saying it breached Syrian sovereignty and would increase tension. It was not immediately clear whether Erdogan and Rouhani discussed Afrin in their telephone call on Thursday. Erdogan and Putin also agreed to speed up the establishment of military observation posts in Syria’s Idlib region under an accord reached by Ankara, Tehran and Moscow last year to reduce fighting between President Bashar al-Assad’s forces and rebels. After the phone call, the Kremlin said in a statement that Putin and Erdogan agreed to strengthen coordination between the two countries’ military and security services in Syria in the fight against terrorism. Those Hillary high fives with Erdogan’s minion really look good now. And Obama’s lectures about how Turkey ought to be a model for moderate Islamic rule even better. Turkey is an Islamist Venezuela with money. Its slow transformation into a Sunni Iran complete with terror backing and suppression of domestic dissent, the latest via a fake coup, was aided and abetted by the left-wing diplomatic corps. Despite its latest information leaks revealing the presence of US forces to its Jihadist allies, it remains a member of NATO. The question is for how long. “Steps have been taken and signatures signed with Russia concerning the S-400s. Allah willing we will see the S-400s in our country,” Erdogan told lawmakers from his ruling AK Party at a party meeting in parliament. That would give Turkey something else in common with Iran. Why would a NATO member want the S-400? Why, for that matter, does Turkey need it all? Whom is it expecting a possible attack from. Iran wanted Russian air defense systems to ward off an attempt to take out its nuclear weapons program by either America or Israel. Turkey isn’t seriously expecting a strike by Israel. That leaves America or some European countries. The latter is also less likely. The S-400 won’t integrate into NATO so Turkey isn’t counting on long-term membership. Erdogan may announce a departure from NATO. Even if he doesn’t, he’s making it clear that he views potential enemies as being either in NATO or American allies, whether it’s Israel or America. But the most obvious message here is to the United States. And the message has multiple levels. Erdogan is telegraphing that he’s going to begin moving Turkey into territory that would involve the risk of an air strike. That will mean an intensification of the current tyranny. It will mean increasing backing for Islamic terrorists. And possibly, WMD programs.